Datum Electronics M420 Series rotary torque transducers are now available from stock in a range of sizes and intermediate torque ranges. Currently in use in more than 50 countries, they perform torque measurement tasks over many differing applications in the marine, defence, process and general engineering industries. Accurate and competitively-priced, with resistance to oil, grease and dust, they are suitable for most general test rig tasks. 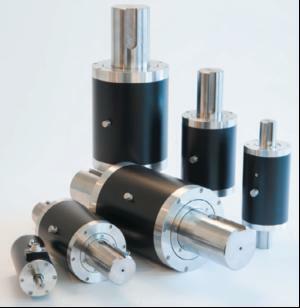 The range is available in six body sizes, five of these from stock; a number of intermediate torque ranges are offered with each body size, the smallest providing four options: 0- 10, 0-25, 0-50 and 0-100Nm.